Although oriented toward English cuisine, the recipes remind one of the many of the receipts in Godey's or Peterson's, especially when they made use of parts of animals that aren't found in your local grocery any more. 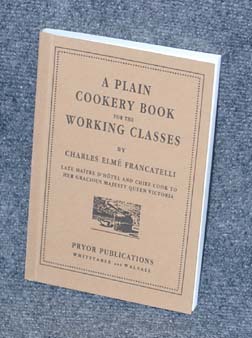 The recipes produce what would be considered ordinary fare. They also include recipes for very bland preparations that in Godey's would be identified as recipes for invalids.